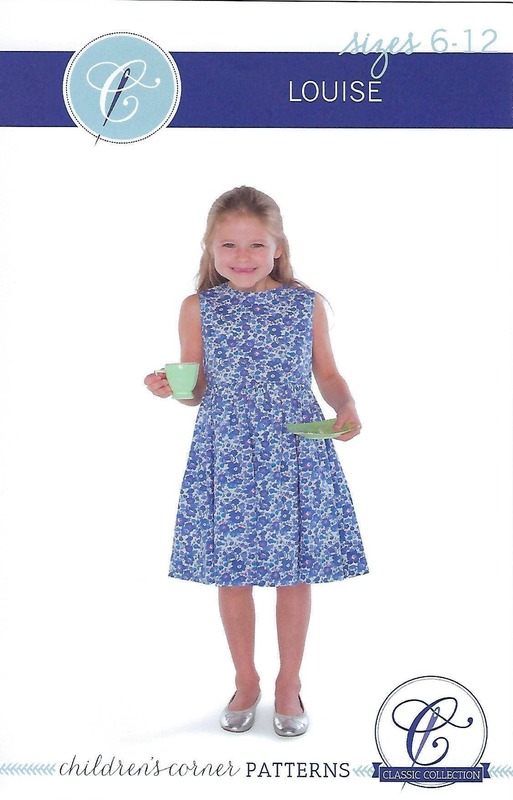 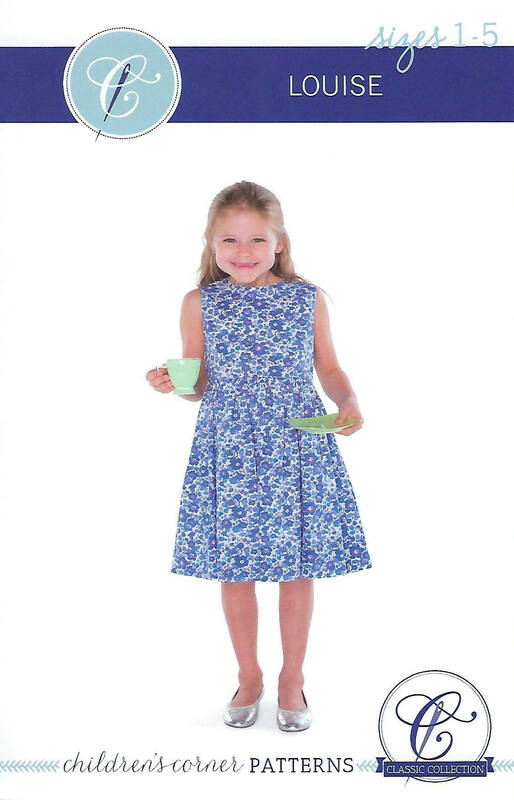 LOUISE is a sundress and jumper with a slightly raised waist and buttons in the back. 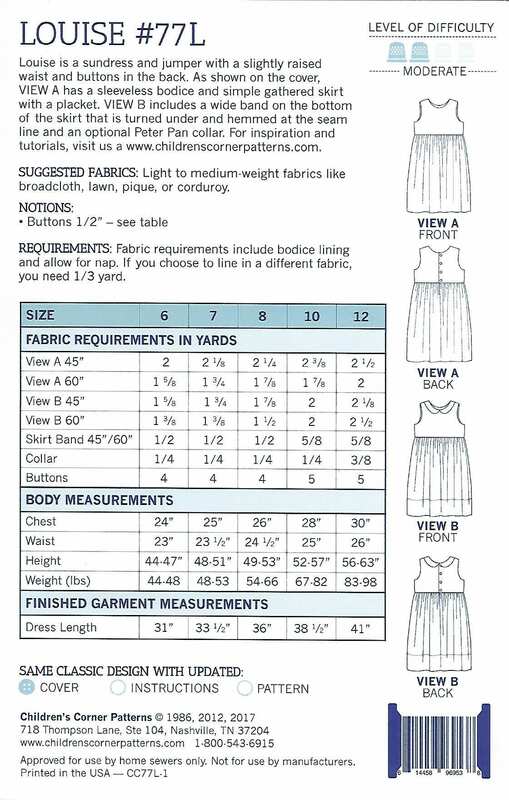 View A has a sleeveless bodice and simple gathered skirt with a placket. 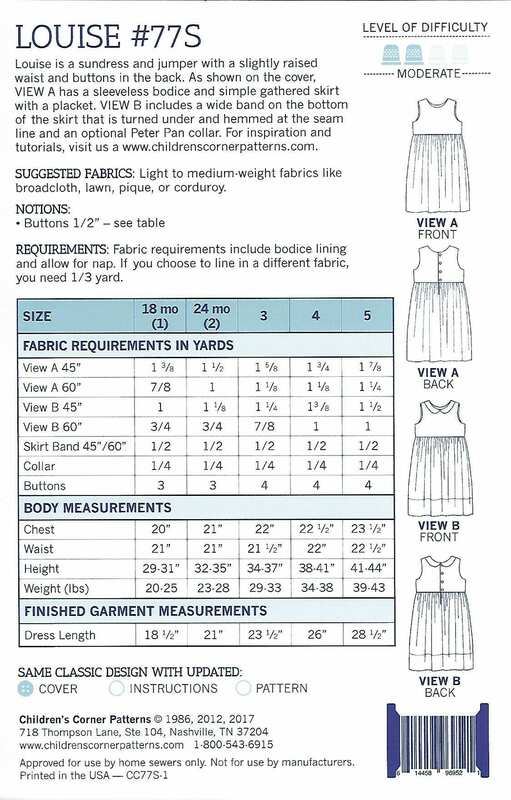 View B includes a wide band on the bottom of the skirt that is turned under and hemmed at the seam line and an optional Peter Pan collar.